Los Angeles — Cal State LA recognized Howard Lum, P.E., for excellence in the classroom and service to the community during the 2018 University Fall Convocation at the Luckman Fine Arts Complex. 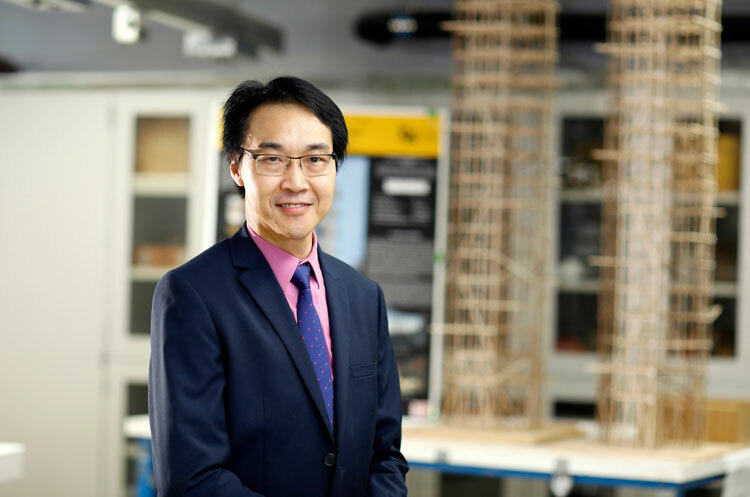 Lum, a lecturer in the university’s Department of Civil Engineering, was presented an Outstanding Lecturer Award during the August 17 event. A Duarte resident, Lum completed his graduate study in structural engineering at the University of California, Berkeley. He is a licensed civil engineer and structural engineer. A faculty member at Cal State LA since 2008, Lum integrates his teaching with practical applications by partnering with agencies, such as Los Angeles County, L.A. Metro and Caltrans, on Senior Design Capstone Projects. He implements design and project management practices in classrooms to prepare students for their jobs after graduation. He has received multi-year teaching awards in “Connecting Practice with Education” from the National Council of Examiners for Engineering and Surveying, and he is a Chi Epsilon Honor Faculty. Lum’s current research has focused on earthquake response and rehabilitation of critical lifelines. He has authored papers and presented in technical conferences on his field of expertise. Lum is the design unit manager for the Metropolitan Water District of Southern California, where he has helped design hydraulic structures, hydro-power pumping plants, tunnels, pipelines and highway bridges. He is also an award-winning film producer of several narrative feature and short films. Additionally, four Outstanding Professor Awards went to Cal State LA faculty members Nana Lawson Bush, V, Dionne Espinoza, Ray de Leon and ChorSwang Ngin. A President’s Distinguished Professor Award was also presented to Daphne Liu, who was a previous outstanding professor recipient. This award recognizes the faculty member’s superlative teaching and exceptional commitment to students, as well as professional accomplishments and services.